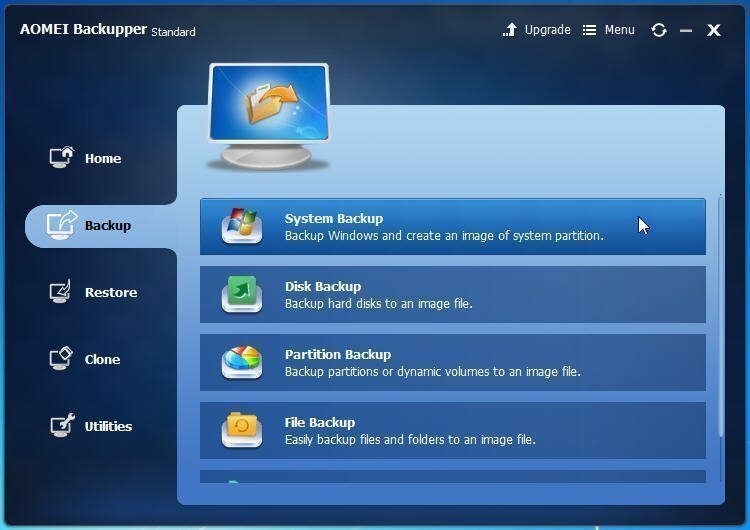 AOMEI Backupper can be the ideal freeware to help your Windows 7 backup only changed files as well as in Windows 8/10/XP/Vista through incremental backup. 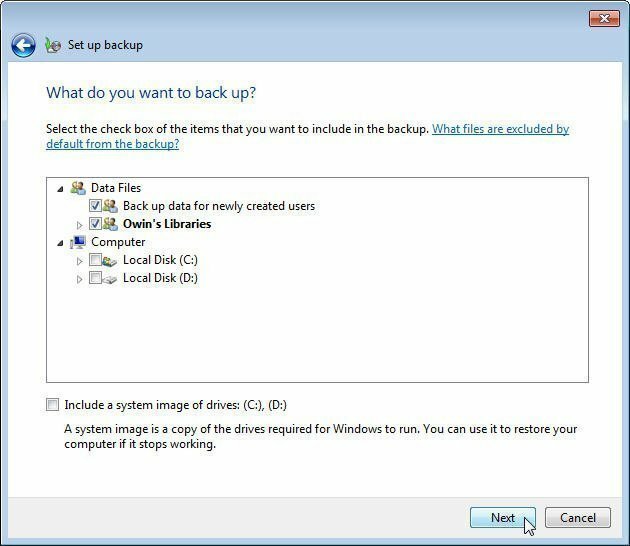 If you’re going to backup only changed files in Windows 7/8/10, it comes to the incremental backup. 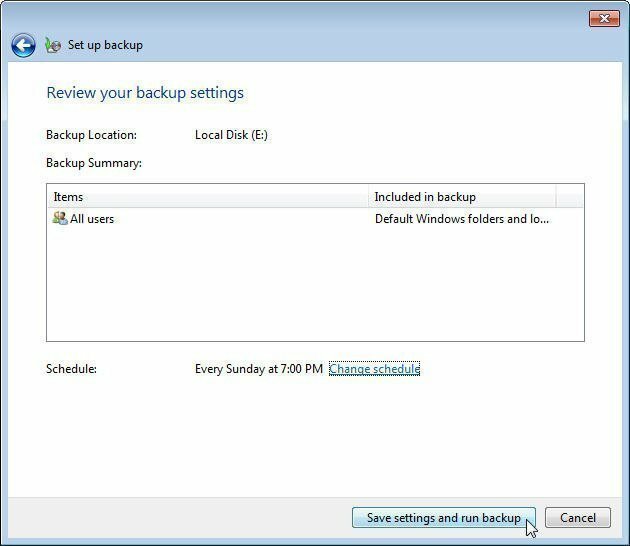 The term that refers to back up only changed files and added files since the last backup is what we called incremental backup. The purpose of an incremental backup is to preserve data by creating copies based on the differences in those data so that minimize the amount of time and space to perform a backup compared with a traditional full backup. But in this case, if you delete the previous backup images, all subsequent images will be useless. 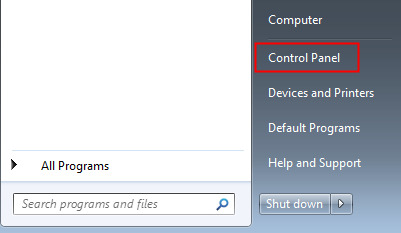 Step 1: Open Control Panelfrom start menu. Step 2: Click Back up your computer. Step 3: Set up backup. Step 4: Select a destination path. You are highly recommended to backup to an external drive. 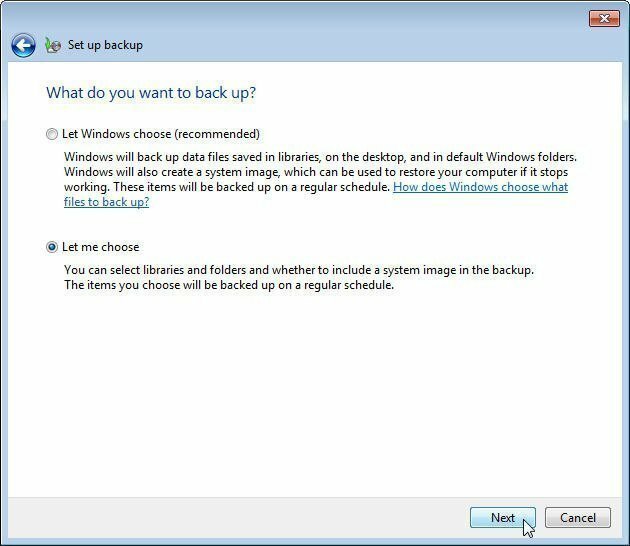 Step 5: Let Windows choose what to back up or decide by yourself. Step 6: Select data you need. Step 7: You can change schedule according to your requirement then run backup. 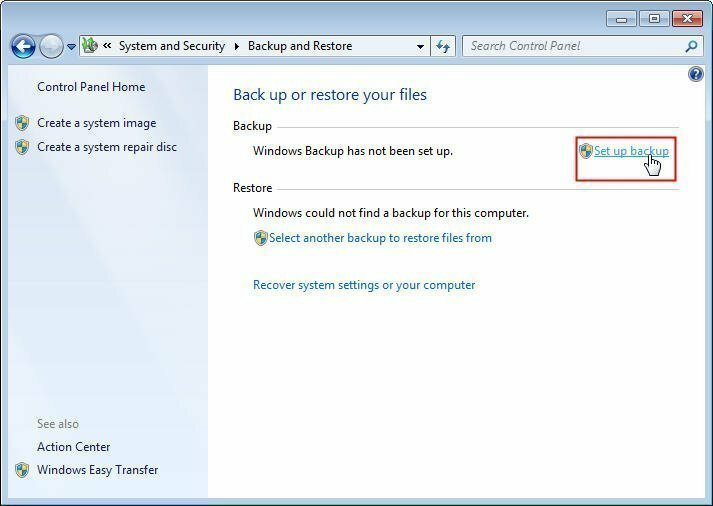 So the next time when Windows 7 starts backing up, it will backup only changed files by default. However, this built-in program can not compress image files so that they may occupy amount of storage space. It seems that you need search another software for better management of backup images. 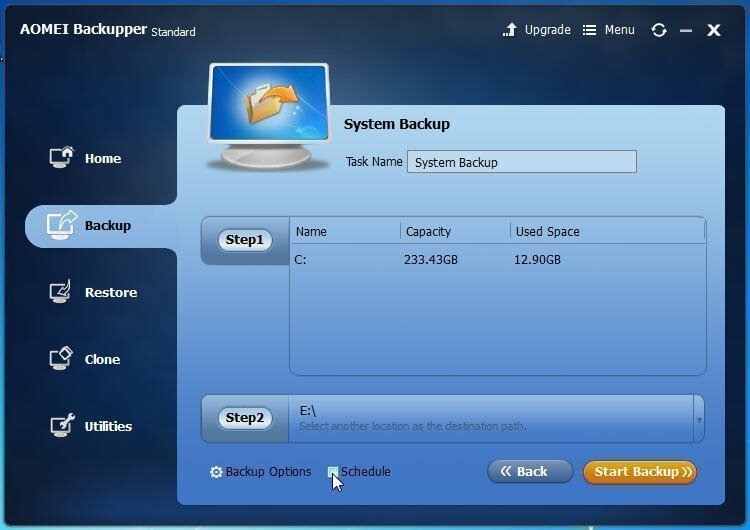 AOMEI Backupper is a totally free but professional all-in-one backup and recovery software. With its concise operation procedure, even a computer novice can deal with it easily. Let’s see how to backup only changed files in Windows 7 with AOMEI. 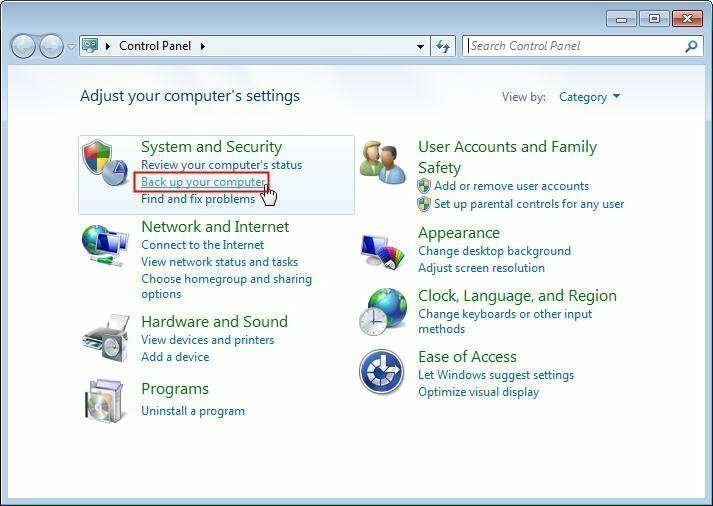 By the way, following steps also apply to Windows 8/10/XP/Vista. 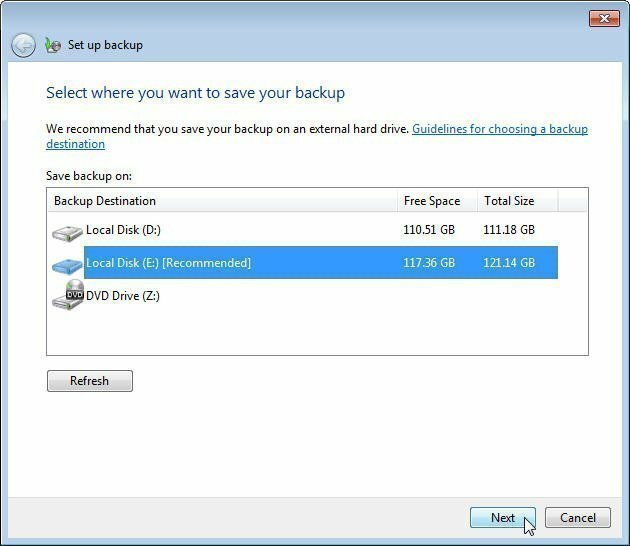 Step 2: Select one backup type you need. Here is system backup. Step 3: All system files will be chosen automatically. Decide a destination path. Tips: It’s possible to individually customize the global parameters when backing up data, including compression, encryption, etc that under Backup Options. Now, there are 2 ways to backup only changed files. 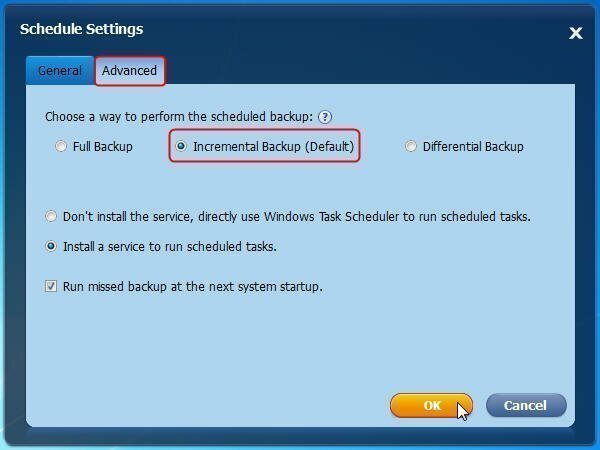 Continue with step 3, you can set the specific time to run backup from Scheduleand it shows incremental backup is already the default option. → Click Start Backup to execute. Continue with step 3, click Start Backup. Once the task is completed, you can view the image under Home tab. → Click Backup → Incremental Backup. That’s it! 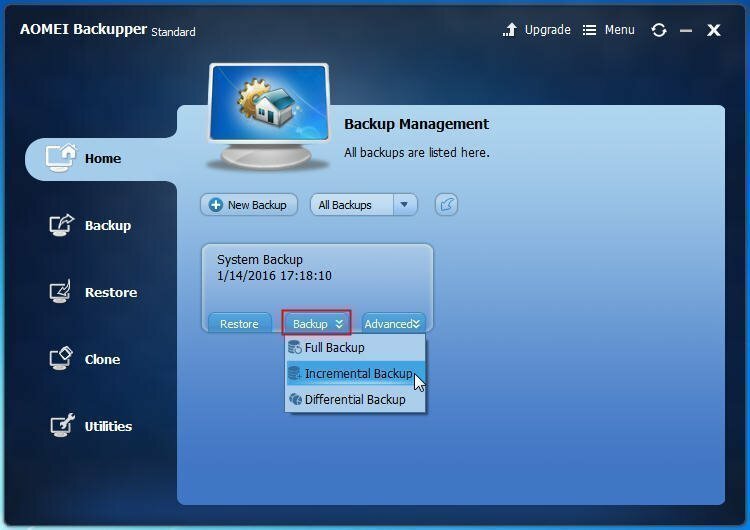 Apart from incremental backup, as you see, differential backup is also available in AOMEI Backupper. Anyway, this software ensures the data safe and you will not be interrupted during the whole process even there are files in use.